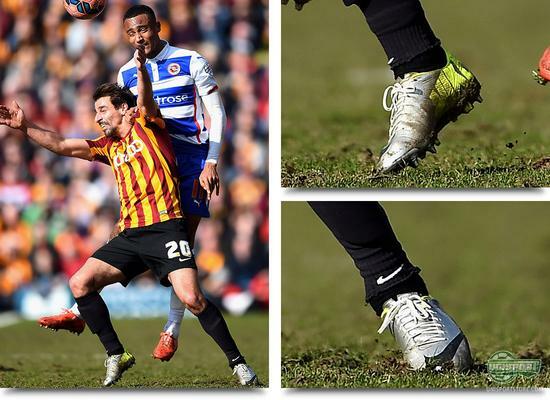 We have been around the world once again, to find this week’s very best boot spots for you. And we kick things off at the place, where most people’s eyes were directed. Yep, we are naturally talking about the f50 adizero Tattoo Pack. 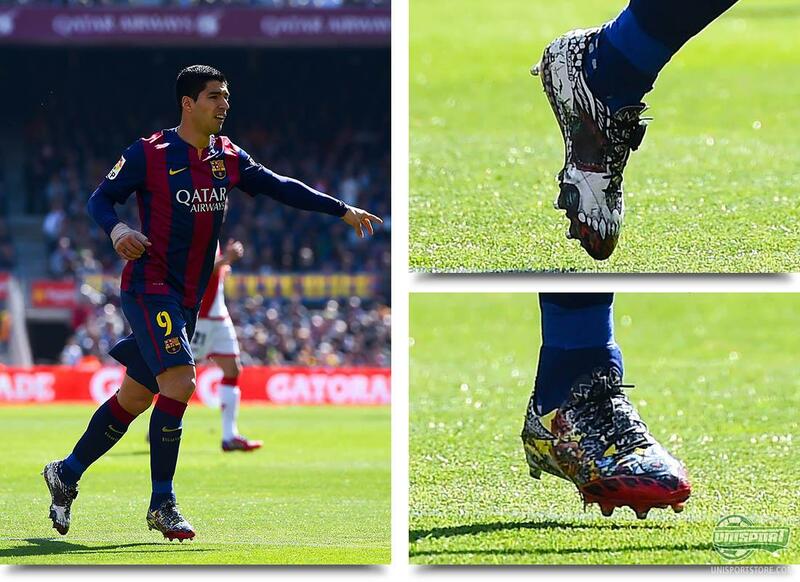 Luis Suarez (FC Barcelona) – adidas f50 adziero Tattoo Pack Two goals was the return, when Luis Suarez debuted his very eye-catching Love/Hate boots. He will probably be the only player we will see in adidas’ wild design. 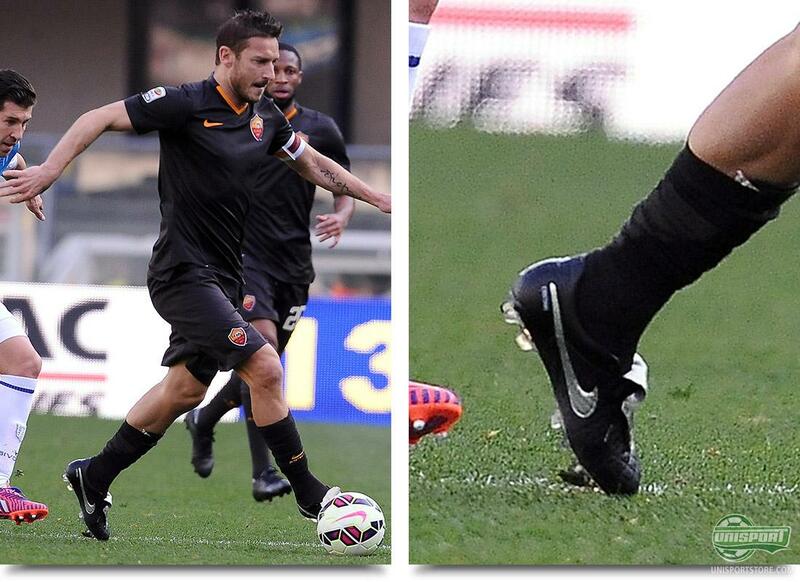 Francesco Totti (AS Roma) – Nike Timepo Legend V Premium Nike also know how to make football boots for one player. The Roman gladiator Francesco Totti has had the Tiempo Legend V Premium made exclusively for his needs. 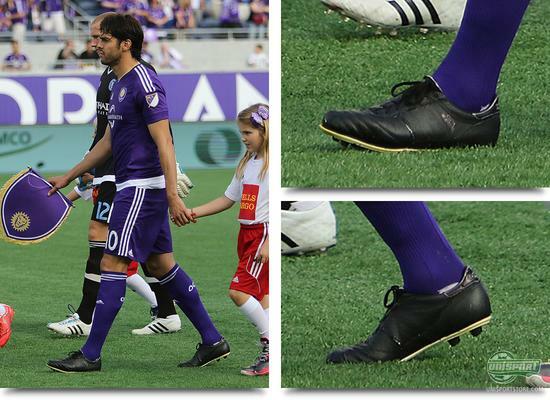 Kaka (Orlando City SC) – adidas Copa Mundial (Blackout) Kaka is in the autumn of his career, but still has some serious class to him. He continues to make defenders look foolish with a pair blackouted Copa Mundial, which he has even chopped the tongue off. 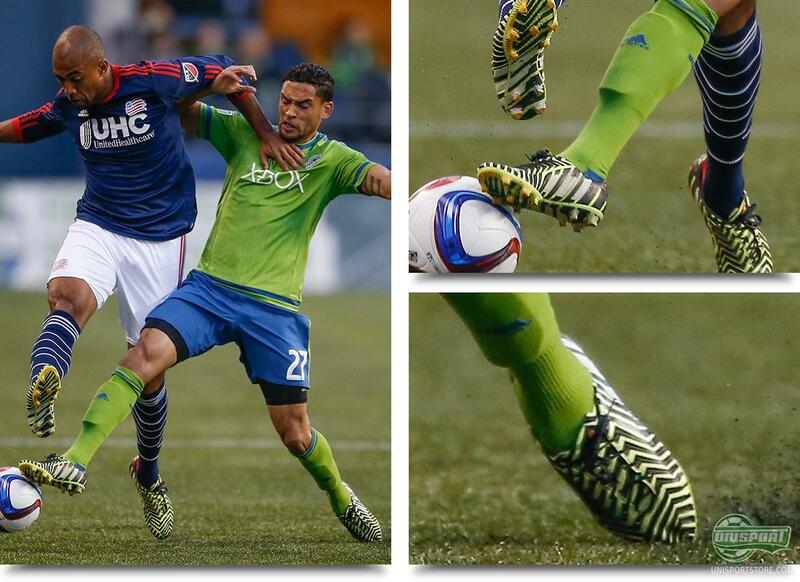 Lamar Neagle & Teal Bunbury (Seattle Sounders FC & New England Revolution) – adidas Predator Instinct Flash Yellow/White/Dark Grey We stay in North America a little while longer. Here things have gone Predator mad and the follow up colourway to adidas’ Haters-campaign has been unleashed. We are still waiting to see it in Europe, but in the US they love it. 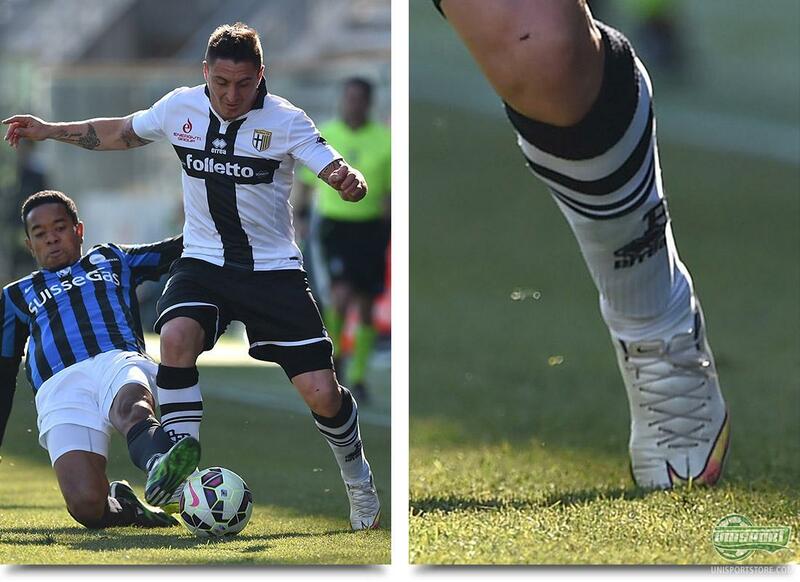 Christian Rodriguez (Parma) – Nike Mercurial Vapor X Shine Through Christian Rodriguez never quite broke through at Atletico Madrid and in the January transfer-window he packed his bags and headed off to Parma. To celebrate his move to the boot-shaped country Rodriguez also switched boot sponsor and left PUMA in favour of Nike. 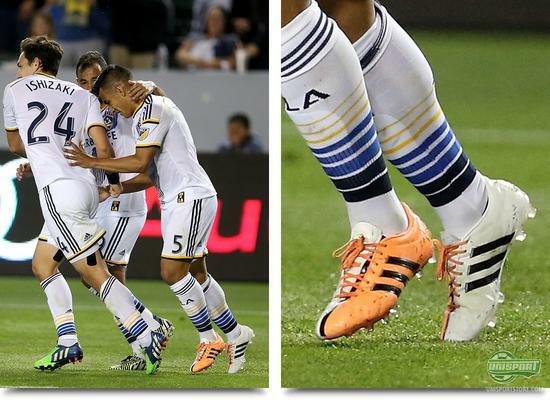 Jose Villareal (LA Galaxy) – adidas 11Pro White/Orange It’s not a colourway we have seen much of here in Europe, but over in America things are very different. Here Jose Villareal is one of the many who has taken to the secondary colourway at the launch of the new generation. 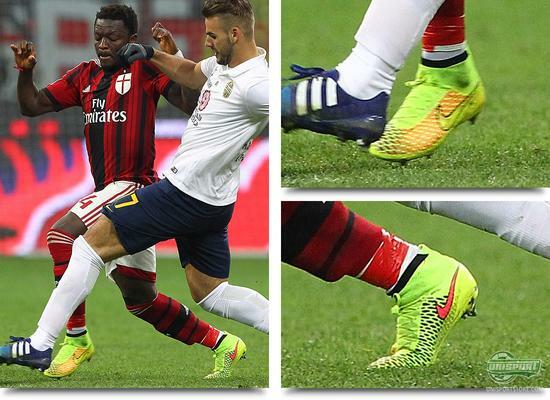 Sulley Ali Muntary (AC Milan) – Nike Magista Obra Volt/Metallic Gold Coin/Black (Almost) a year ago Nike introduced the world to their newest innovation, Magista Obra. It looks like Muntari is celebrating the boots birthday, as he sported the launch colourway again. Thomas Broich (Brisbane Roar) – Nike Hypervenom Phantom Orange/Black And now we are on the subject of older models, then we couldn’t help notice Thomas Broich. 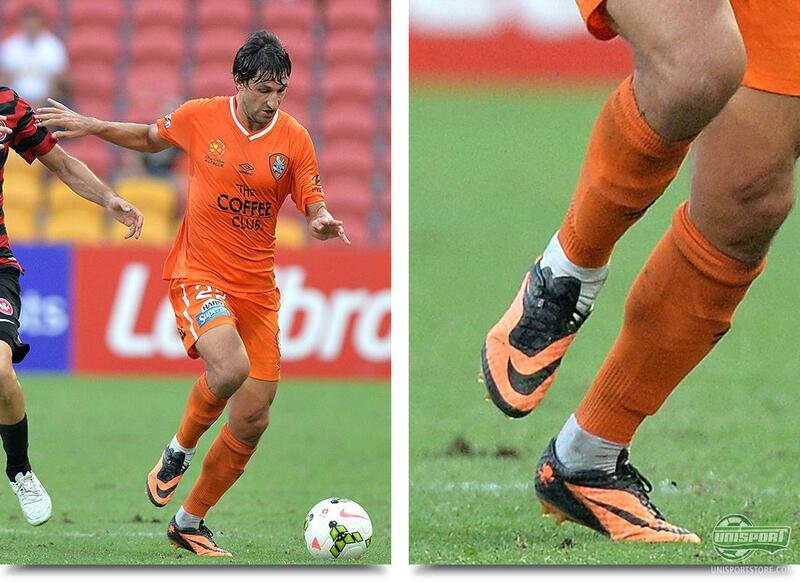 For the weekend he sported this awesome match with his orange kit and the Orange/Black launch colourway of the Hypervenom Phantom. A joyous reunion with a boot that has really cemented its place on the market. 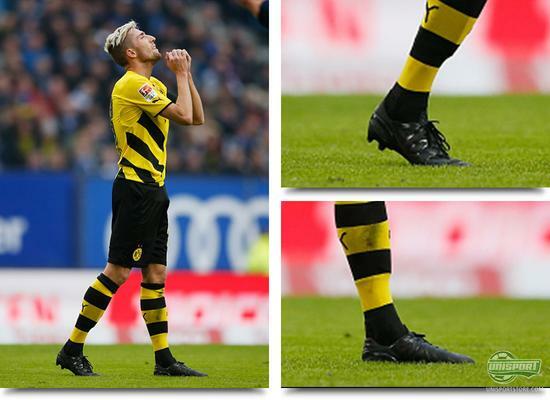 Kevin Kampl (Borussia Dortmund) – PUMA Prototype? We have in the last couple of months seen quite a few players training in different blackouted boots for training and now Kevin Kampl has worn his into action in a game too. We have previously seen Pierre-Emile Højbjerg training in them. What it is exactly remains to be seen, but it looks exciting. This was the weeks boot spot-fix from us. And there has been plenty of reasons to get excited by this round. We will keep our eyes peeled for more next week.